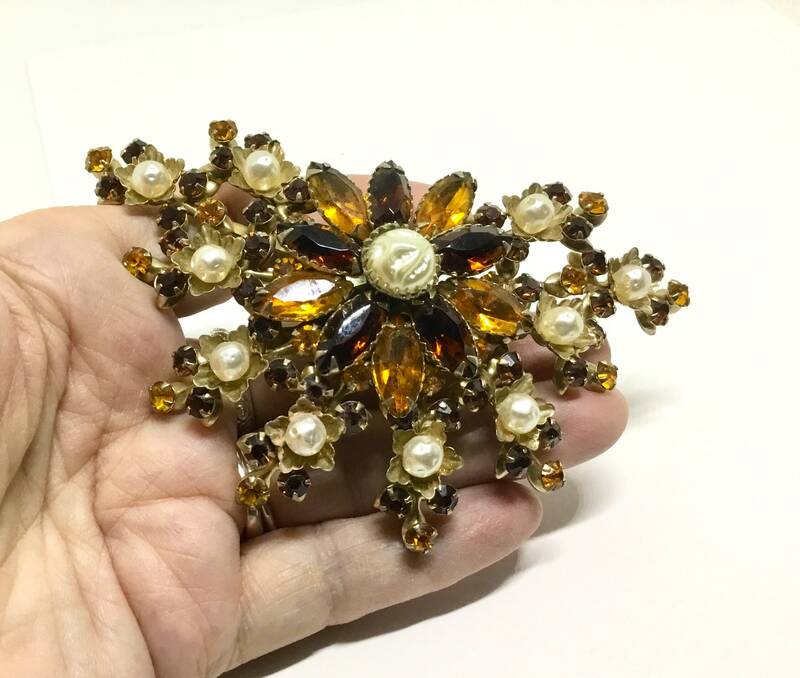 This is a fabulous and stunning vintage 1960s goldtone Judy Lee signed large floral brooch. 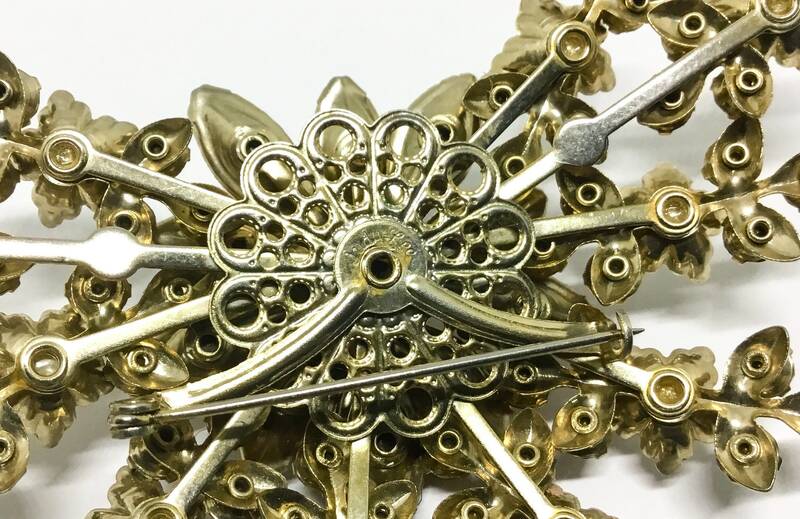 The beautiful floral design has a sparkling center flower with branches radiating from this center. 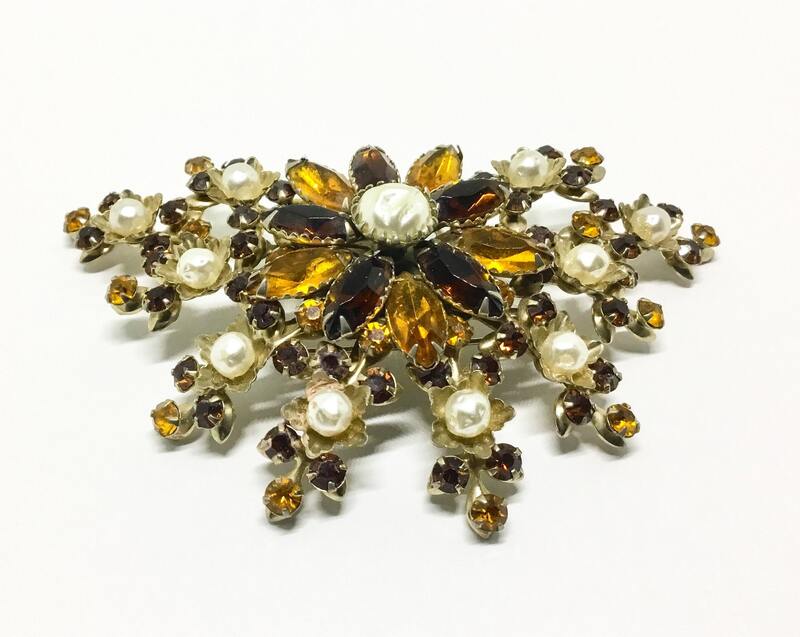 The flower consists of light and dark amber colored marquise cut rhinestones petals and a large faux baroque pearl center. 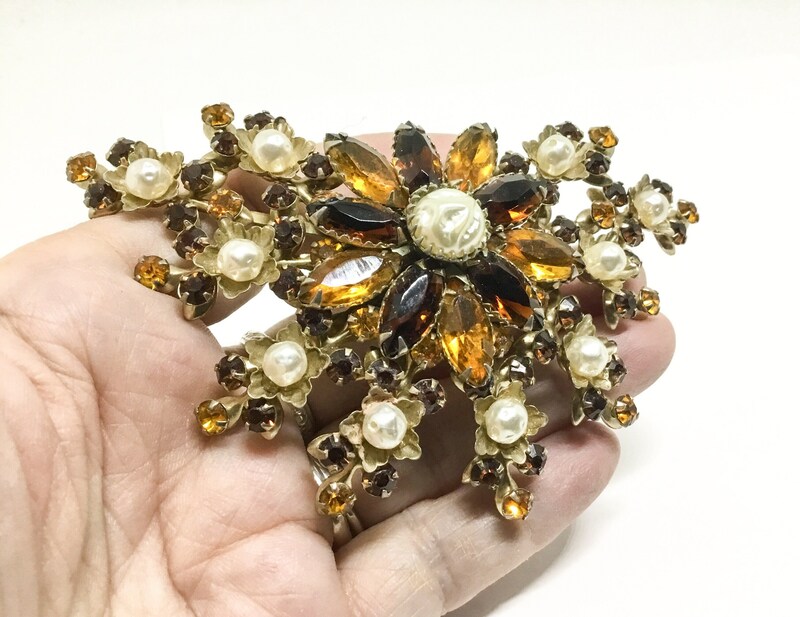 The radiating branches have smaller light and dark amber color chaton rhinestones with small faux baroque pearls. 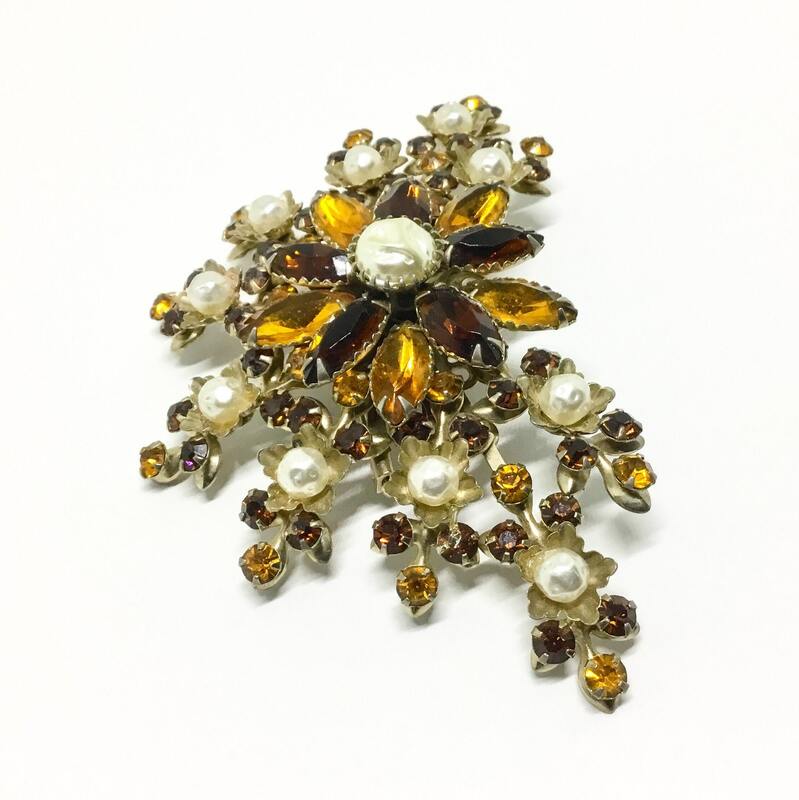 All of the rhinestones are present, faceted, and prong set. The faux pearls are all paste set. 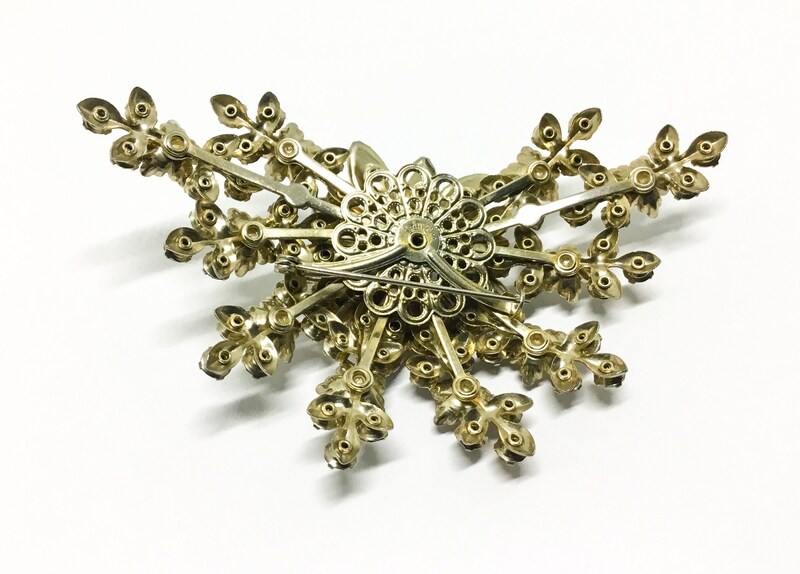 It measures 4” x 2 5/8” and the pinback is straight and works smoothly and securely. To make it even sweeter it is in great condition and is also a book piece. 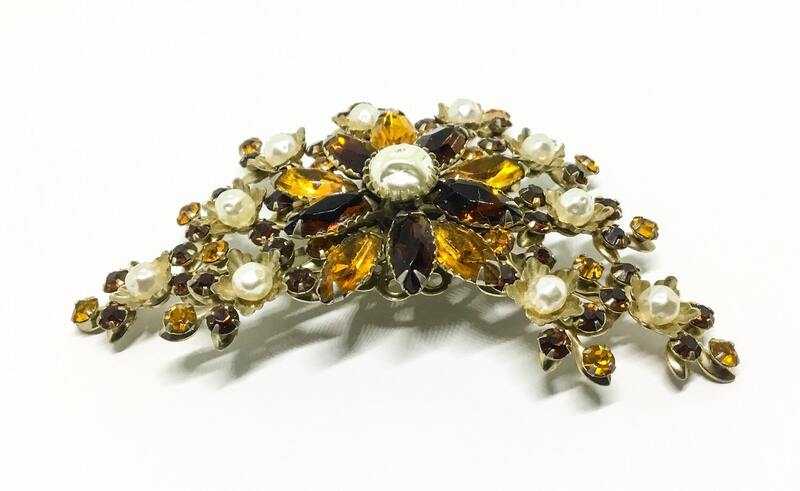 This beautiful and amazing brooch is a great collectible for yourself or a friend. 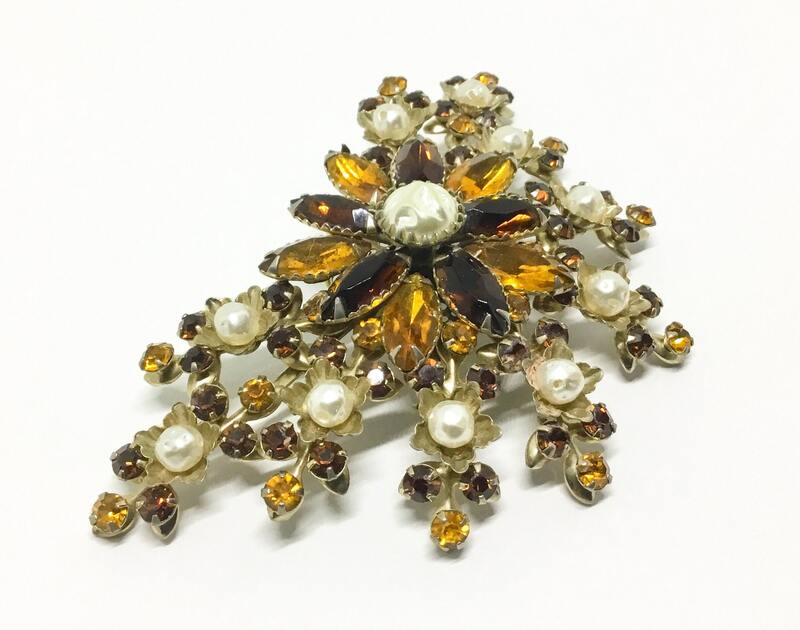 This delightful piece would be a winner as a Mothers Day Gift!